We are grateful to Section Editor Professor Thomas Clarke, the five reviewers, Miguel Glatzer, and Siri Øyslebø Sørensen for their comments on earlier versions. We also thank the policy makers involved in this legislation in Sweden, Norway, and Iceland for acting as our sounding board. Bureau of Labor Statistics. (2012). Current employment statistics. http://www.bls.gov/ces/. Retrieved Aug 4. Clark, N. (2010). Goal at Deutsche Telecom: More women as managers. Retrieved March 15, 2010, from http://www.nytimes.com/2010/03/16/business/global/16quota.html. European Corporate Governance Institute. (2013). http://www.ecgi.org/. Retrieved June 2. Eurostat. (2012). Key data on education. http://epp.eurostat.ec.europa.eu/portal/page/portal/product_details/publication?p_product_code=978-92-9201-242-7. Retrieved May 23. Government Administration Services. (2011). [Prime Minister] Kjell Magne Bondevik’s second government. Oslo, Norway. http://www.regjeringen.no/en/the-government/previous-governments.html?id=85847. Retrieved Aug 8. Government of the Netherlands. (2007). Coalition agreement. http://www.government.nl/Government/Previous_governments/Balkenende_IV_Government/Coalition_agreement. Retrieved May 9. Japan Times. (2013). Aeon sets 50 % female manager goal. Retrieved May 18, 2013, from http://www.japantimes.co.jp/news/2013/05/18/business/aeon-sets-50-female-manager-goal/#.UcR1MNj4JIM. Nellie McClung Foundation. (2013). History of women’s rights [in Canada and Québec]. http://www.ournellie.com/womens-suffrage/history-of-womens-rights. Retrieved July 16. OECD. (2006). Early childhood education and care. OECD Publishing: Paris. http://www.oecd.org/newsroom/37425999.pdf. Retrieved July 24. Peacock, L. (2012). Compulsory women on boards quota for Dubai. Telegraph. http://www.telegraph.co.uk/women/womens-business/9733465/Compulsory-women-on-boards-quotas-for-Dubai.html. Retrieved June 29. Regierung Online. (2011). Der Ausbau der Kinderbetreuung geht voran. http://www.bundesregierung.de/nn_1272/Content/DE/Artikel-/2011/05/2011-05-17-zwischenbericht-kinderf_C3_B6rderungsgesetz.html. Retrieved March 6. Stepstone. (2011). Frauenquote unerwünscht (survey). http://www.stepstone.de/Ueber-StepStone/presse/frauenquote-unerwuenscht.cfm. Terjesen, S., Hessels, J. and Li, D. (2013). 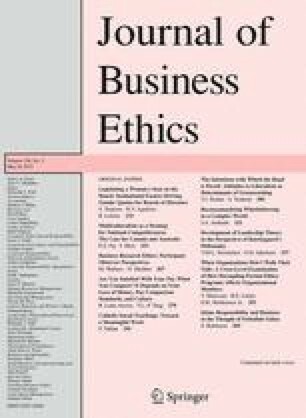 Comparative international entrepreneurship research: A review and research agenda. Journal of Management. doi: 10.1177/0149206313486259AQ35. Trautman, L. (2012). Board diversity: Why it matters. Working paper. http://papers.ssrn.com/sol3/papers.cfm?abstract_id=2047750. Retrieved Dec 24. Wikigender. (2013). Gender Equality. http://www.wikigender.org/index.php/New_Home. Retrieved Nov 28.